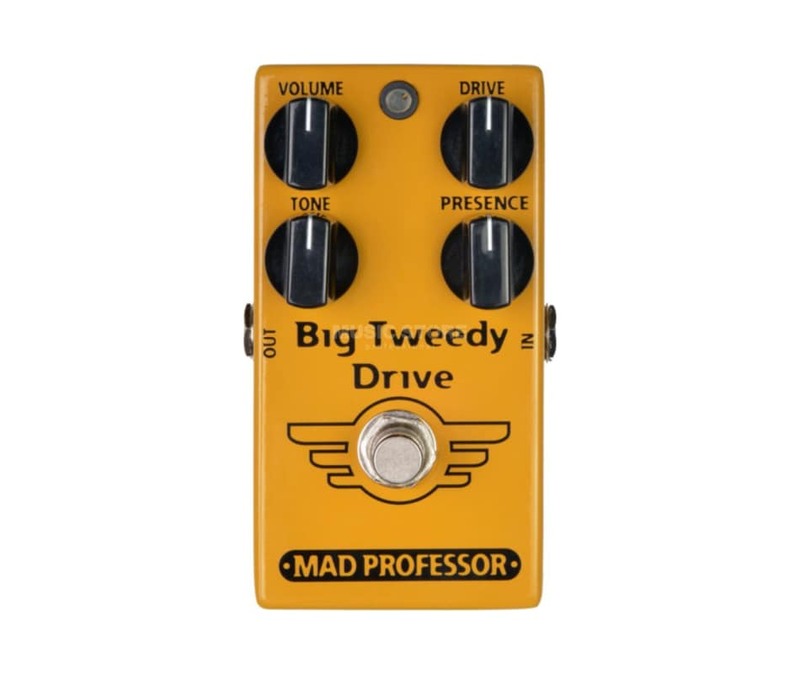 Big Tweedy Drive pedal is voiced after a super rare High Powered Tweed Twin amp. The pedal gives you the highly sought-after vintage tone that has big fat punchy midrange and sweet gnarly bite like the late 50 s American amplifiers. Like the big vintage tweed amps, the Big Tweedy Drive has the same tactile dynamics and touch sensitivity players are raving about: adjust the amount of gain with your picking attack or the guitar volume. This makes the pedal fit into a surprisingly broad range of genres: jazz, blues, rockabilly, country and rock n roll.